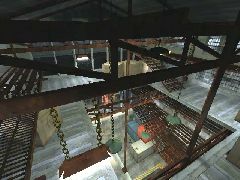 A very realistic industrial factory themed map with great textures, great brushwork, and a true-to-life layout. 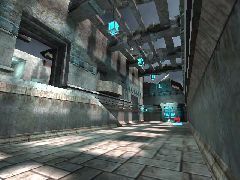 This map was made for the 2004 Burial Grounds Quake III mapping competition, and took about three months to construct from the first test levels through to the final release. Gametypes supported are DM and TDM. I don't recommend a player load greater than 4v4 in TDM unless you have a grunty rig, though there are 14 spawn points. 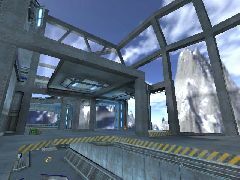 All weapons bar the BFG are here, though there is no ammo for either RL or RG . Powerups are regen and quad.